Today’s app of the day isn’t an app at all. It’s a program. Currently it’s for the DROIDX but has plans to be applied to all devices. SBF. Did you just tremble a little? Feel a cold chill climb up your spine? How about the word brick? Well no more fetal positions for those of you that avoid SBF like the plague! A collaboration, spearheaded by WugFresh, between some big time Android players has spawned SBFportable. This is a stand alone and automated program for all Windows computers that takes the scary out of SBF. For those new to the term SBF, here is a little background. Let’s say you jump into the rooting game and at some point find your device useless because a ROM flashing went wrong, you decide to go back to stock for an OTA update, or you are for some reason left without a working backup. Flashing an SBF file will solve all of your problems by returning your device to its stock state. After flashing an SBF file, you are left with a device whose software looks like it came straight out of a box. What is SBFportable and how does it work? Making sure your phone is in bootloader mode. Making sure your phone is fully charged. Understanding that SBF-ing wipes your entire phone clean. Making sure your phone is actually plugged into your computer. So there ya go. I have used it on my DROIDX to test it (although I’m a Linux flashing addict) and can tell you it is almost too easy. No excuses anymore guys. Get a ROM. Get Gingerbread. Get this file and never look back! Full support can be found here. *And the AAS app today is The Impossible Game. 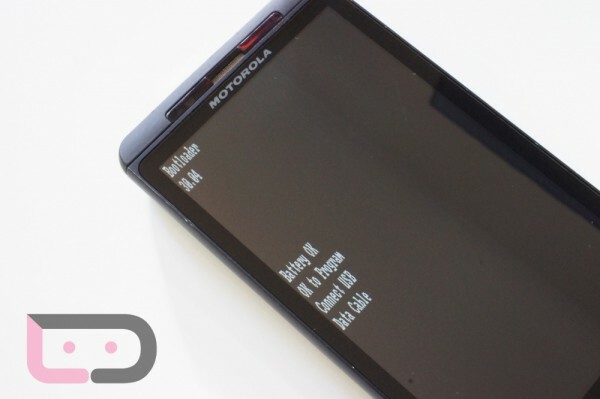 Wednesday Poll: Picking up one of Verizon's new phones - DROIDX2, Revolution or Xperia PLAY?